My hair is something I like to look after, and not only the hair on my head but my extensions, hair pieces and everything else I like to clip onto my head too! 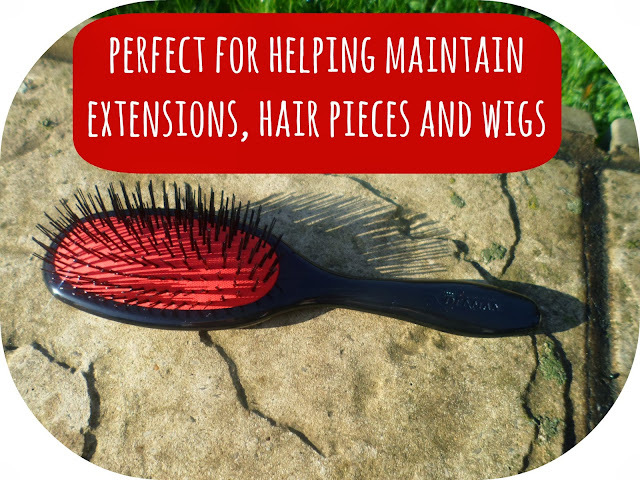 There's no point having extensions and things if you aren't going to look after them. You need to look after extensions, hair pieces and wigs just like you would your own hair, so keeping them untangled is the number one rule in my book. Recently Denman approached me after seeing that I wore extensions and saw my post about the 3/4 wig I had been wearing from Wonderland Wigs. They thought that this brush would be perfect for me - and they weren't wrong! This is the D80 Nylon Bristle Grooming Hairbrush and it comes in 3 different sizes - Small, Medium & Large. The brush I have is the medium (D80M) and it is a great size for me! 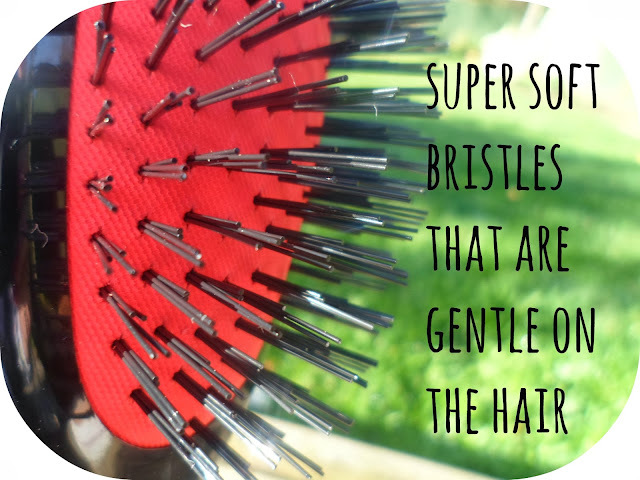 This brush is made specifically for smoothing, detangling and grooming - all things that are essential in keeping our hair and our "extra" hair looking fit and fabulous. If you have or have had extensions or hair pieces you know how easy it is for them to get tangled and messy - which is not the easiest thing to sort without ripping half the hair out! This brush is the ideal tool for this. They are so soft I have even been using it on my own hair. If you have read my blog before or seen my post about my haircare routine then you probably know that for the last 3 years or so I have only use tangle teezers. This has been the first hair brush I have used since then and liked. It feels just as soft and gentle as a tangle teezer - and leaves my hair feeling smooth, soft and thick - I'm really really happy with it. Thank you Denman! What do you do to ensure your extensions and things stay in perfect condition? Any top tips? 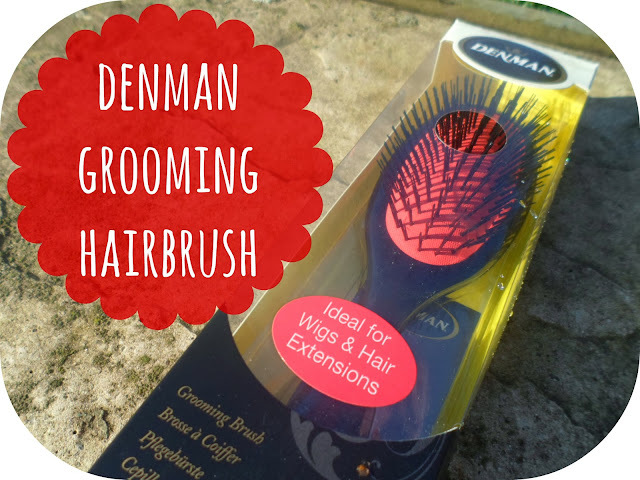 Denman never fail with their products, every single brush they have is amazing. I remember using them in my hairdressing course and they never let me down. Apart from the Normal D3 styling brush, the red part slides out so easily. But we used to stick talc powder in there to hold it in haha. Still a great brush!